A luxury one bedroom duplex style apartment set within a Regency Crescent in a wonderful part of Torquay. An immensely spacious, luxury townhouse with three bedrooms, two bathrooms, a sitting room, formal dining room, kitchen/diner and a private garden and terrace. Newly refurbished Luxury property with river views, Free WIFI , Two Wood burners. Country House sleeping 10. Comfy beds, large grounds with sports. Modern Kitchen, BBQ Fire pit and splash pool in summer. Centrally located in Somerset close to Wookey Hole, Cheddar Gorge, Longleat. Apartment 3 - The Muntham Apartments. A very spacious, one bedroom ground floor apartment located in a peaceful building in a leafy area of Torquay yet close to all amenities. Apartment 2 - The Bedford House Apartments, Torquay. A very spacious two bedroom, two bathroom first floor apartment in the centre of Torquay with free parking and WIFI. Apartment 7 - Studio Apartment - The Muntham Apartments. A spacious first floor studio apartment with separate kitchen and bathroom in peaceful area of Torquay. Orchard barn is a new barn conversion, it is located at Woodhayes a family owned farm set in the Blackdown Hills and area of outstanding natural beauty in East Devon. A spacious two bedroom pet friendly apartment on the ground floor with its own private entrance. 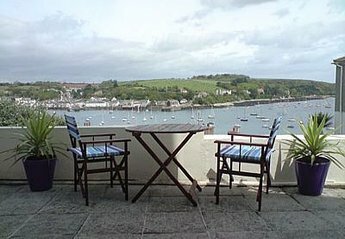 Great central location with parking close to the town and harbour. 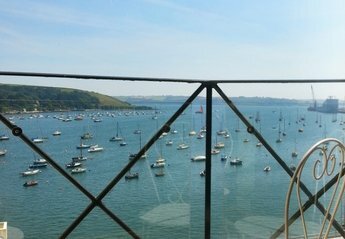 Sunset Lodge is an idealic setting for 1 or 2 guests.The stunning sea view is over Burgh island and down the coast to Cornwall.Very suitable for couples,looking for peace ,quiet, and beauty.Dogs OK.
Lovely village home close to the seaside resorts of Torbay. Spa Lodge-a Beautiful Haven In Bantham,devon.close To The Beach. 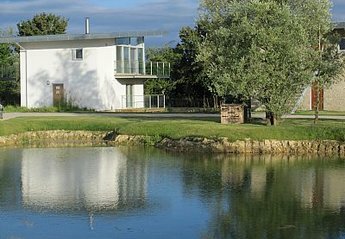 Spa lodge is located close to Bantham beach and the beautiful river Avon.With garden,outside Jacuzzi,and accomodation for 6 guests.The Lodge has a wonderful feel ,and is a special place .